The second round of the 2018 South-African ORE national championship was hosted at the Welkom RC Arena over weekend 28 and 29 April 2018. 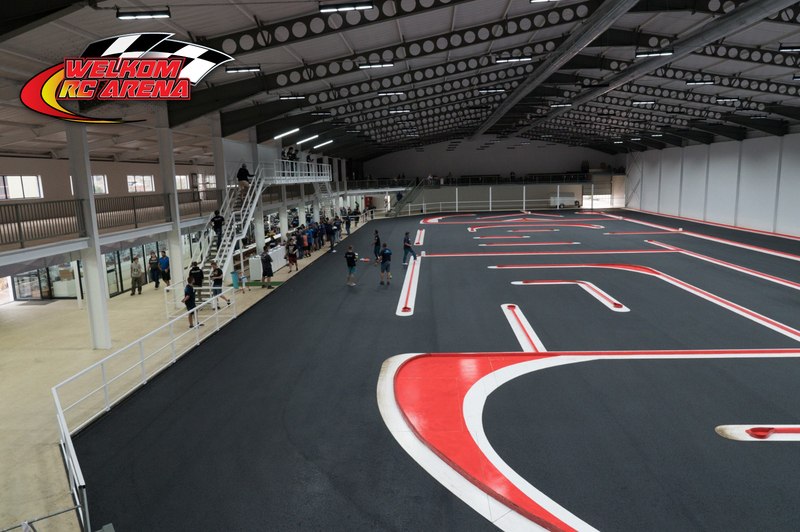 This event coincided with the IFMAR 2018 Worlds Warm-up event on the brand new indoor asphalt facility purposely build for the 2018 IFMAR ISTC and 1/12 world championship. Some of the top drivers in the world made their way to South Africa with more than 15 world championships between them to get to know the track characteristics. The green track started with challenging traction but the traction increased as the weekend progressed and the drivers could commit with faster pace during the qualifying rounds as well as the main races. 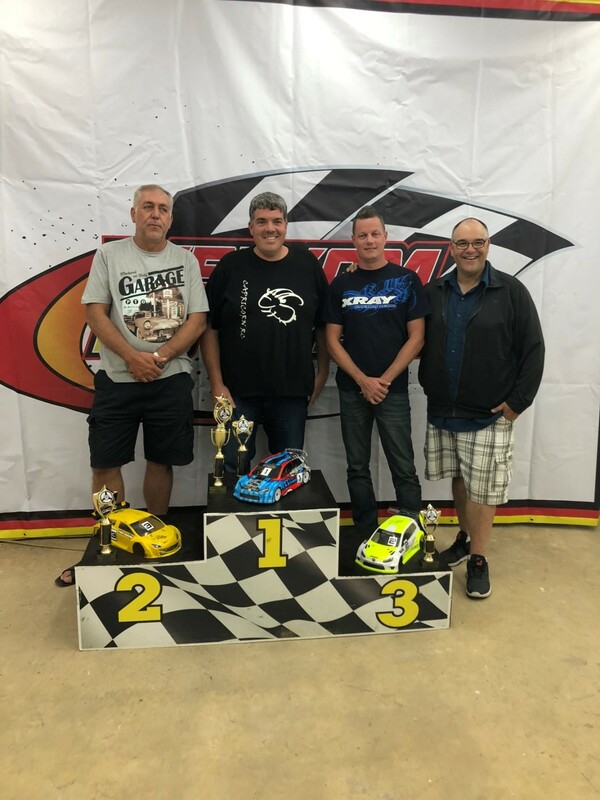 In the ISTC Modified class the heat was on early between the top professional drivers getting to grips with the track layout and the increasing traction. On Saturday the drivers had 6 qualification rounds to seed them for the main races on Sunday. 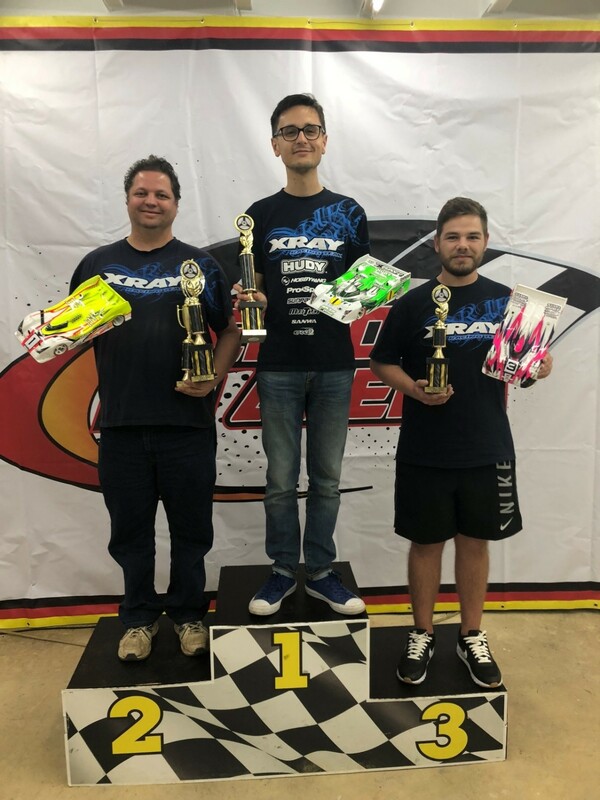 Bruno Coelho and Alexander Hagberg showed great pace during the qualification rounds with Bruno driving his Xray T4 to TQ with Alexander starting from second on the grid and Marc from 3rd. 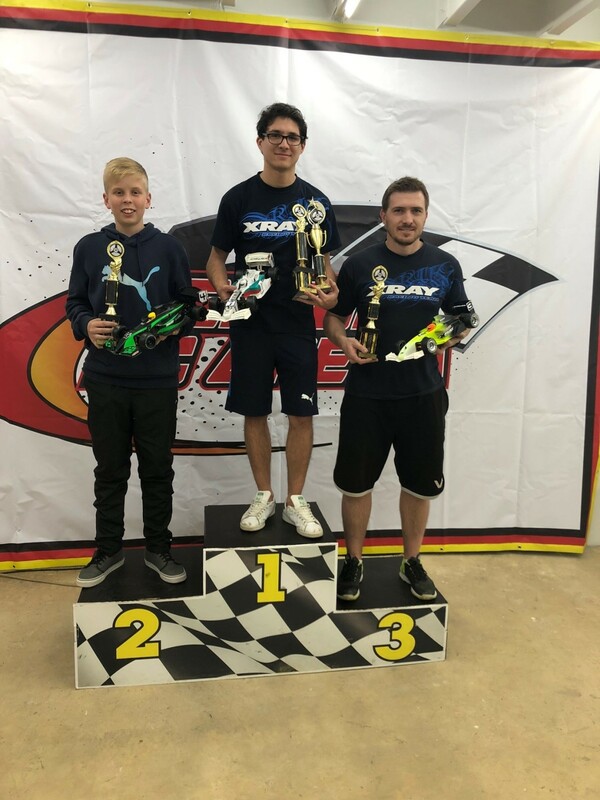 In A1 Bruno kept his lead from start to finish and with Alexander out of the battle after he broke his car it was Naoto securing 2nd place with Christopher 3rd and Marc 4th. 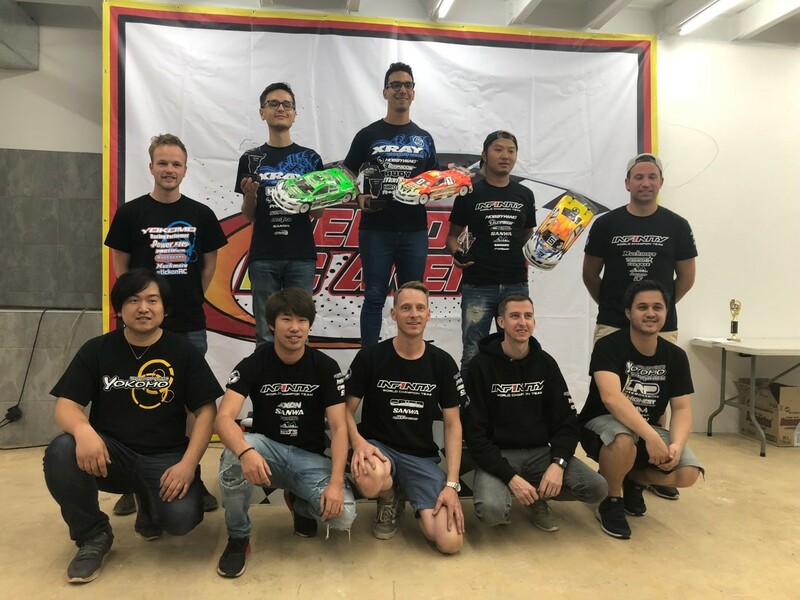 In A2 it was Bruno again from start to finish, but this time Alexander stayed with him finishing 0.4 sec behind in 2nd place, Naoto 3rd and Christopher 4th. A3 was the same result with Bruno and Alex leading the pack from start to finish with Marc finishing 3rd ahead of Ronald. It was a great opportunity for the local drivers to measure their skills against the lap and race times set by the professional drivers. Early during practise sessions it was the Liebenberg brothers, Hein Kotze, Shaun Schutte, Anderton Smith, Jason Hillcoat and Deon Gove who showed good pace. Ashley Hurley, Wouter Ferreira and Christian Fourie also had good consistent runs to get them into the A Mains. In the qualifying rounds it was Hein Kotze who put the challenge to the other drivers with great TQ runs. The two Liebenberg brothers were hot on his tail and managed to secure second and third on the grid with Conrad second and Jacques third. 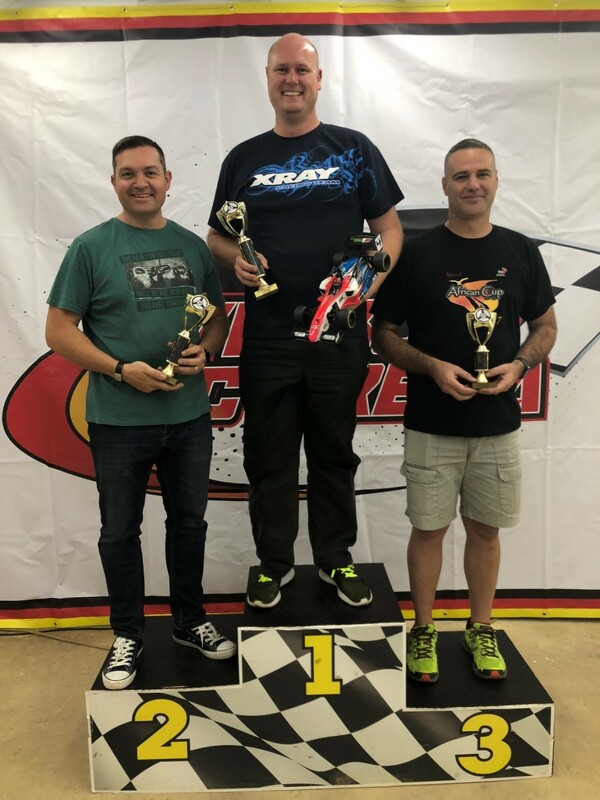 In A1 there were some accidents but it was Hein Kotze who took the main with his Xray T4 2018 with Conrad Liebenberg 2nd and Anderton Smith managing a good 3rd after starting in 5th place. 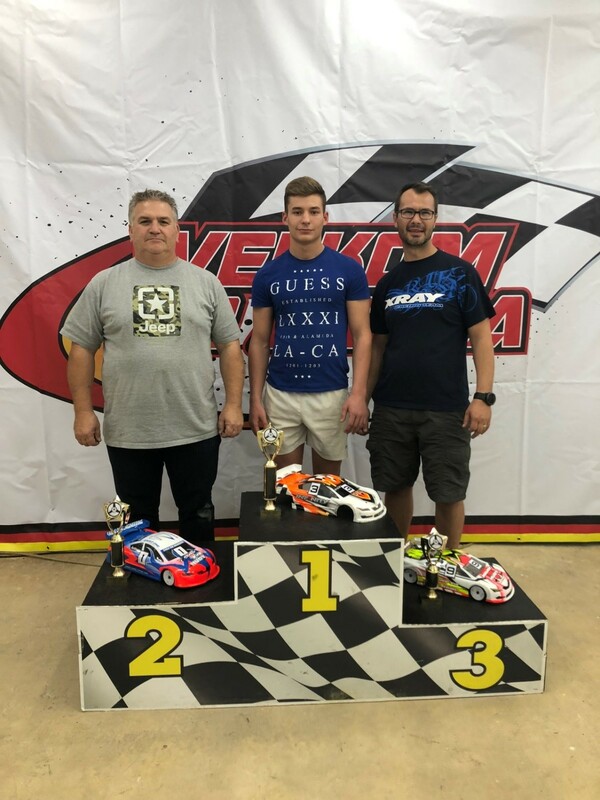 In A2 Hein Kotze again took victory and after some racing incidents Jason Hillcoat raced to a great 2nd place from 6th on the grid and Wouter Ferreira in 3rd starting from 7th. 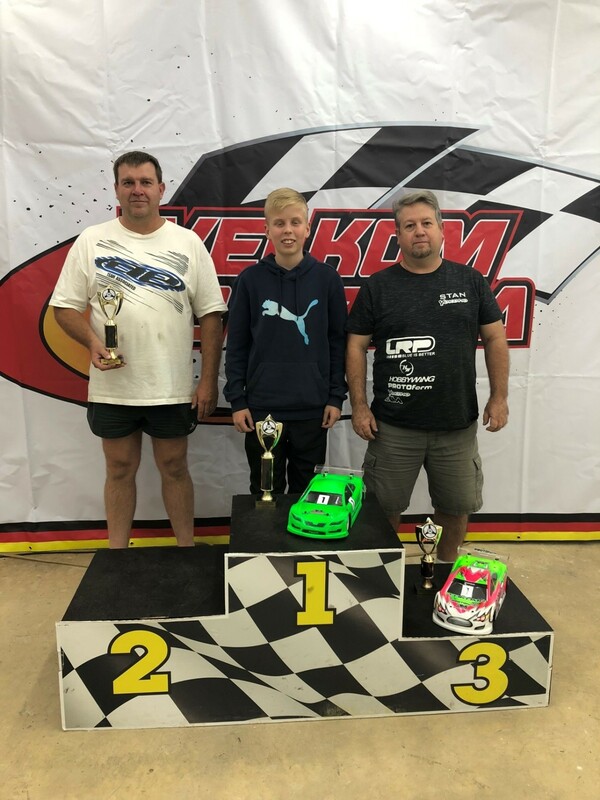 In A3 Hein Kotze secured victory with a dominating final run, but this time it was Shaun Schutte finishing 2nd from 9th on the grid and Ashley Hurley 3rd from 8th on the grid. With the premium 1/12 modified class an event at the 2018 Worlds, Alexander Hagberg used this event to get to grips with the layout, surface and his setup on his X12 2018. Coming of a great win at the Euros Alex set the early pace and lap targets for the local drivers to chase. In the Q1 and Q2 Alex experienced some problems with his electronics which allowed Shaun Schutte to show his skill to secure TQ with two good runs. Hein Kotze also managed good runs and secured second spot on the grid. Alex managed to sort out some of his electronics and has a great TQ run in Q3 which gave him third spot on the grid. In the finals Alex showed his skills and talent to secure victory in all three finals. Shaun Schutte continued his good form and secured 2nd and the youngster Marius van Niekerk taking 3rd. 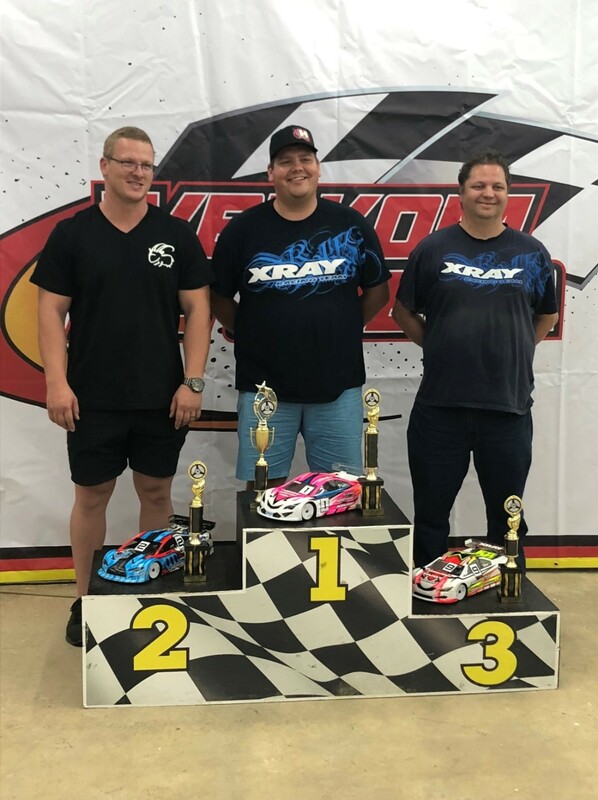 In the 1/12 stock class Francois Laubscher continued his good form with his X12 to secure TQ and the win in this class which will also be an event at the 2018 IFMAR Worlds in August. Pat Lester started from second on the grid and held on to his position for the podium. Lady driver Bianka Landman also managed to maintain her 3rd grid position to secure the final spot on the podium. 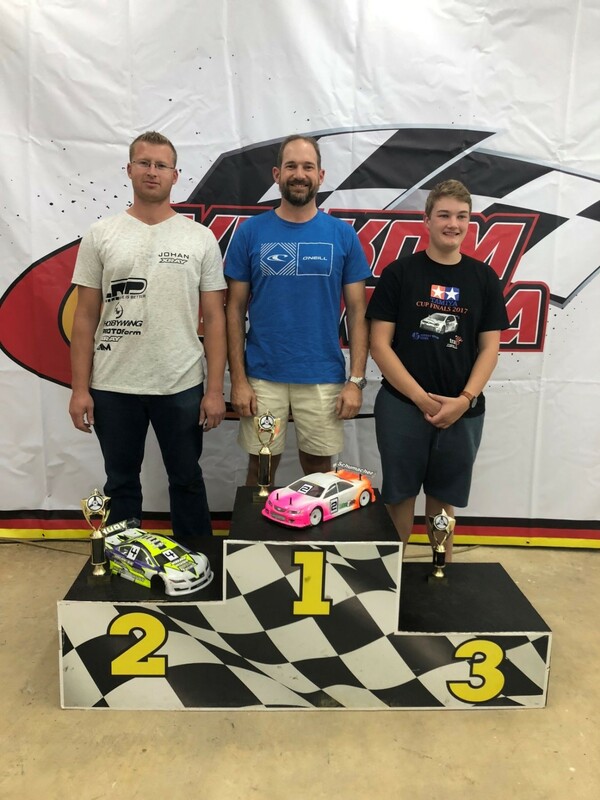 The Pro-stock class was very competitive with good drives from Willie Noordman, Anthony Smith, Chazlee Cooper, Jonathan Wilken and Eugene Wessels. 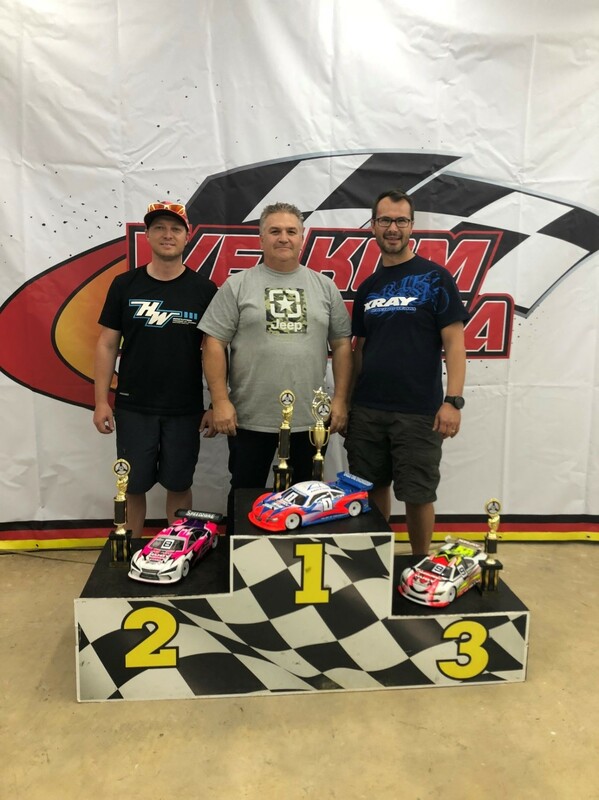 It was Anthony Smith who managed to secure TQ with Willie Noordman and Jonathan Wilken starting from 2nd and 3rd on the grid. Anthony broke his car in A1 and Jonathan to a great win followed by Willie. In A2 Anthony drove a great race to secure a win with Willie finishing 2nd and Jonathan 3rd. 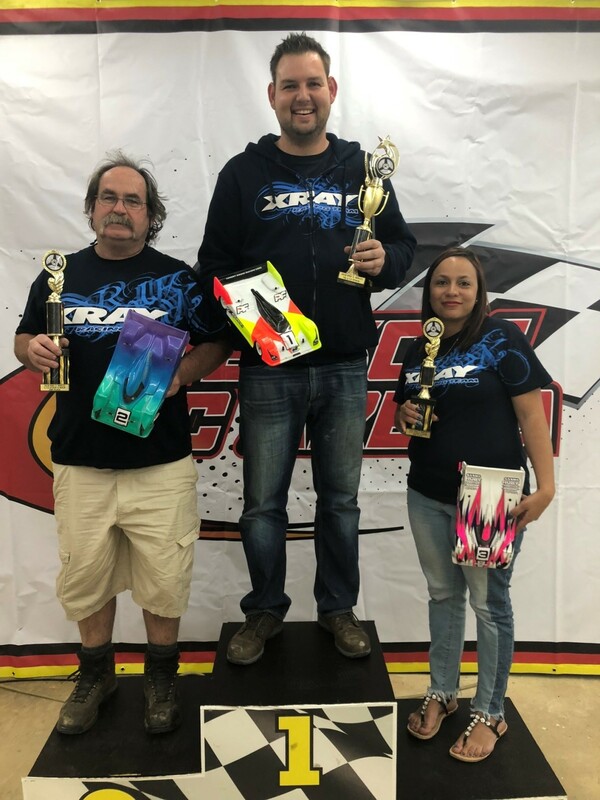 Anthony took the victory on A3 with Jonathan 2nd and Gunther Cornelius finishing in a good 3rd. 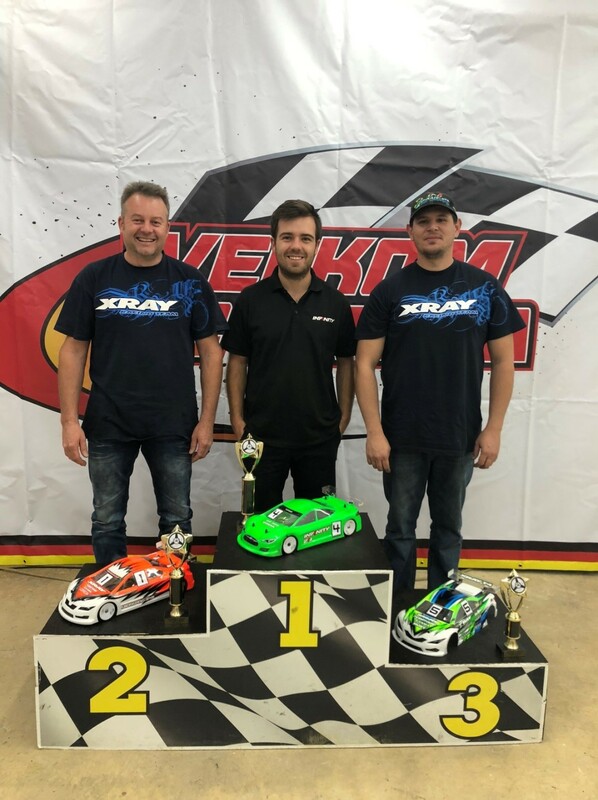 It was the current SA champion Pedro de Gouveia who showed is class to secure the TQ and overall win with his Xray X1 and used this event as good preparation for the IFMAR Worlds later this year. 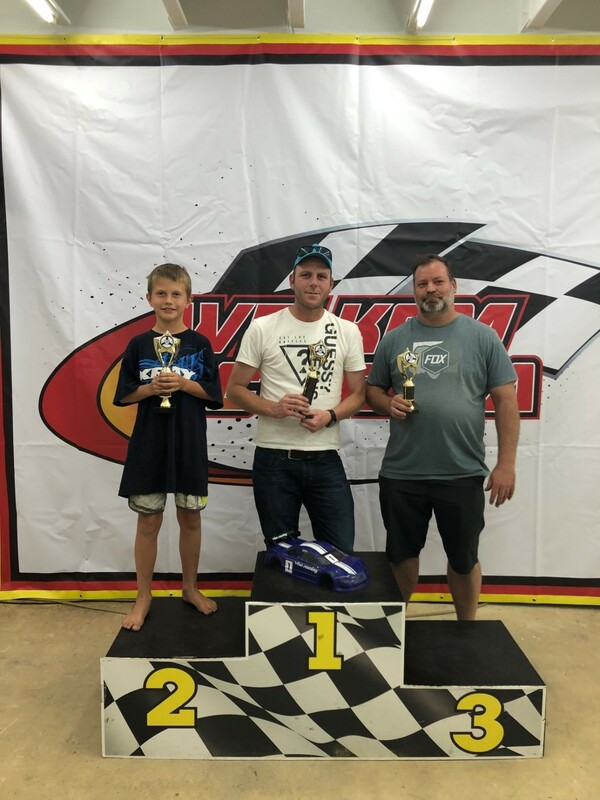 Youngster Jared Rabe managed to take the runner up position with his Yokomo and Tyronne Wilken securing third. The FWD class was dominated by the Andre (Bullie) Marais to collect the TQ and the win for the weekend. After Andre secured the win after A2, Scotty Ernest drove his car in A3 showing his talent and also taking victory.